Jorge Linares and Vasyl Lomachenko have made no bones about their desire to fight each other. Linares is the lightweight kingpin, and Lomachenko is ready to chase a title in a third weight class as he moves up from 130 pounds. They’ve playfully traded barbs on social media as their sides negotiate the fight, and they’re getting down to brass tacks now that Linares’ title defense over Mercito Gesta is out of the way. Bob Arum told RingTV.com that “Lomachenko doens’t want to mess around,” and that he’ll be conducting talks with Mr. Honda, who co-promotes Linares along with Golden Boy, as they look to finalize a deal. THE RING lightweight championship fight would take place May 12 at New York’s Madison Square Garden, sources told RingTV.com. And if talks stall with Linares, Arum said they could match Lomachenko with Ray Beltran, provided he beats Paulus Moses on February 17 and wins the WBO lightweight title. But the fight Top Rank wants to make is Linares-Lomachenko. It’s a significant fight, one that would anchor the company’s spring schedule on ESPN on the heels of a probably April 14 pay-per-view card featuring Terence Crawford-Jeff Horn and Manny Pacquiao-Mike Alvarado. Lomachenko, widely regarded as the best talent in boxing, is THE RING’s No. 3 pound-for-pound fighter and seems to improve with each subsequent outing. The 29-year-old Ukrainian has forced four consecutive opponents to quit on their stools, none more impressively than his six-round performance against Rigondeaux in December. Now, Lomachenko (10-1, 8 knockouts) wants to challenge himself in another weight class, and who better than Linares, the ultra-fast athlete from Venezuela who has long created buzz with his flashy combinations. Linares (44-3, 27 KOs) hasn’t lost since consecutive stoppage defeats in 2011-12 to Antonio DeMarco and Sergio Thompson, respectively. But he rebounded strongly, with fights all over the globe, before he returned to the U.S. with his first HBO fight in a decade, a September victory over Olympic gold medalist Luke Campbell. “[Lomachenko is a] good boxer, he’s amazing boxer, but you never know, maybe one day he have fight with me and then the moment’s different,” Linares told RingTV.com days before he easily outpointed Gesta on HBO. “I want that fight because he’s very similar to me — fast, quick champion. 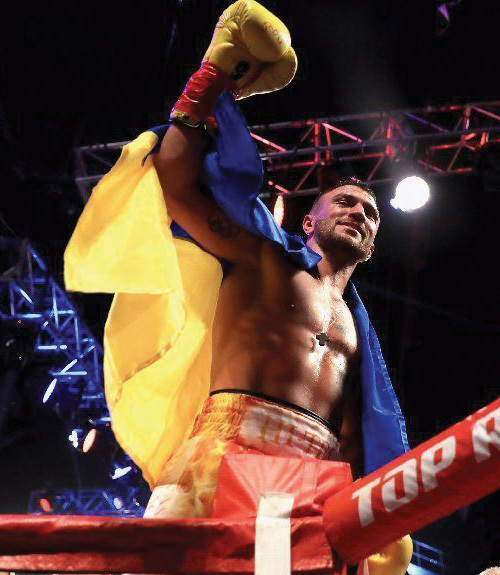 Top Rank is seeking to build Lomachenko into an attraction in New York, where there’s a large Ukrainian population, and this fight could usher in the 130-pound titleholder’s entrance into the World’s Most Famous Arena’s big room. Lomachenko’s win over Rigondeaux was held at the Theater at Madison Square Garden, which quickly sold out. A fight with Linares figures to draw, too.